The track I am referring to had yellow sides and was an L shape Engleman.There is a pic of the track at Bairnsdale on the Mobile Raceways online shop page.Click on about and it shows the various tracks that have been at MR and others that have been relocated. Mark for your info that is the original MR track that was first installed in Collins st upstairs, near Harrington st. When it was moved to a Glenorchy it was extended.Post No 30 in this thread show the track in its original configuration and location. Edited by kalbfellp, 03 August 2014 - 09:59 AM. Phil I only remember it at Glenorchy, corner of Collins and Campbel st. Thought it looked a bit short in the photo. Does any one know were the 8 lane track that is on Aussie traders is now ? Photo in link above if it worked. Thats one of the "Slingshots" I built. Might be the one Peter V had at Mobile Raceway. I think he cut out the bank, shortened it, and flogged it of recently. Hmm, Scooter?Mark? Did you used to run a motorbike shop and drive an old midget or sprite? Edited by axman, 10 August 2014 - 05:57 PM. Someone said it was the second track from miniature Raceways Hobart.I spoke to peter v and he said he couldn't remember the second track I'm not sure. No I didn't own motor bike shop or race sprints. The second track from Miniature Raceways was originally at Launceston.The track you have pictured is the Slingshot that was at Mobile Raceways which was restored originally with the bank in place but was removed and shortened to fit the Flat Black track for last year's Scale Nats.The track was sold and is now in Queensland. Thanks I didn't think it was the second track. I tha t track in a centre up there ? Here's a track for the Newcastle guys... like a lot of these tracks went into an amusement centre in the 90's.. where is it now? Edited by pubpoker, 30 April 2015 - 10:36 AM. Well, found some more lost tracks.... Can you believe a 220 foot Engleman that has operating in a huge shed near Maleny on the Sunshine Coast for the past 15 years.. The track started life in Bundaberg, then moved to Rockhampton. The initial construction was supervised by Garry J so it got all the right curves in the right place. The club 2BR ( two brothers racing) are very active on FB so look em up. 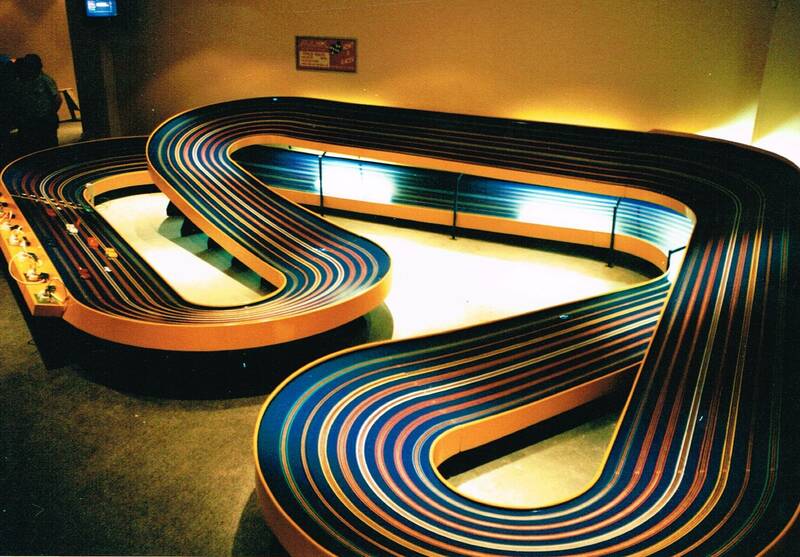 Also in their huge slot car track museum is a couple of other tracks, one of them is the old Stafford track.. They dragged it back from Brisbane in poor condition and got me to help them use the good bits to make an 8 lane speedway. Kim I can't find the 2BR or 2 Brothers Racing on FaceBook for the life of me. Any links or full page names would be appreciated thanks mate. Hey thanks for that slotbaker. Much appreciated mate.